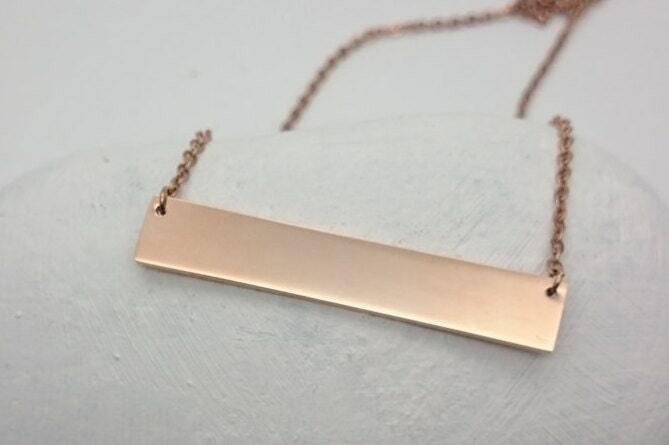 Rose Gold Bar Necklace//Rectangle pendant 18k rose gold plated on hypoallergenic stainless steel. 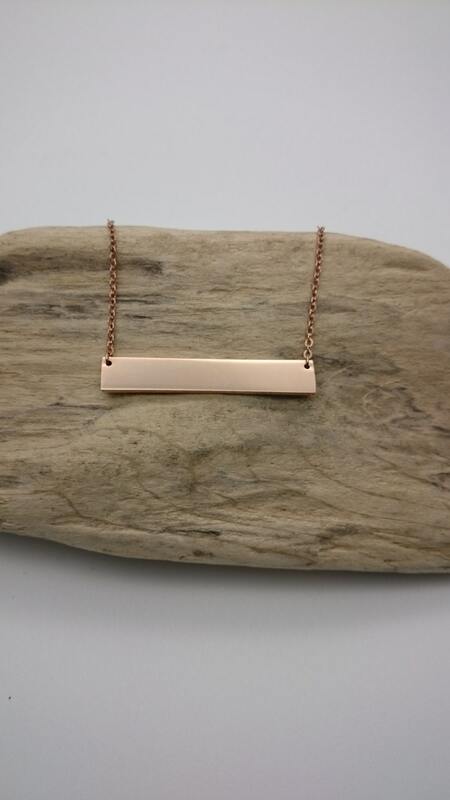 Shiny Gold Bar minimalist Necklace rose gold plated 18k on stainless steel. 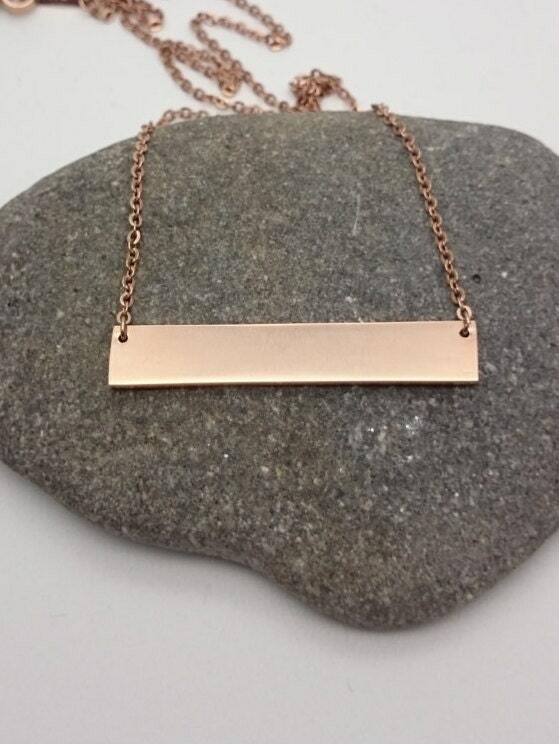 Beautiful necklace with a delicate chain and horizontal bar pendant. 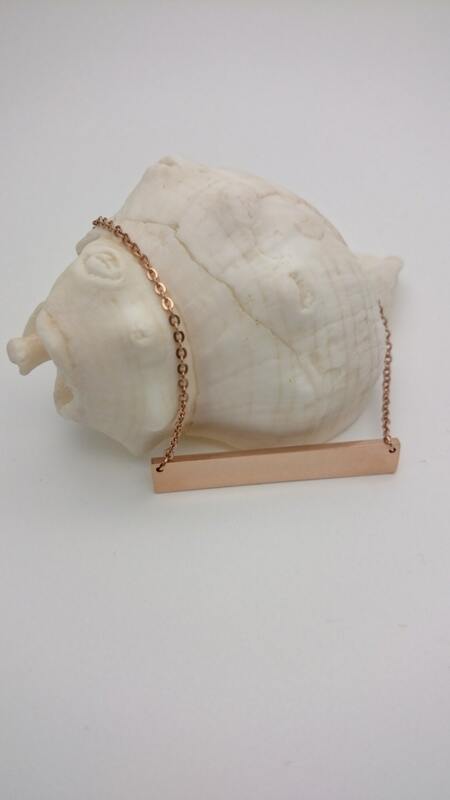 16 inch chain with lobster clasp. Pendant : nearly 40 mm x 7 mm. 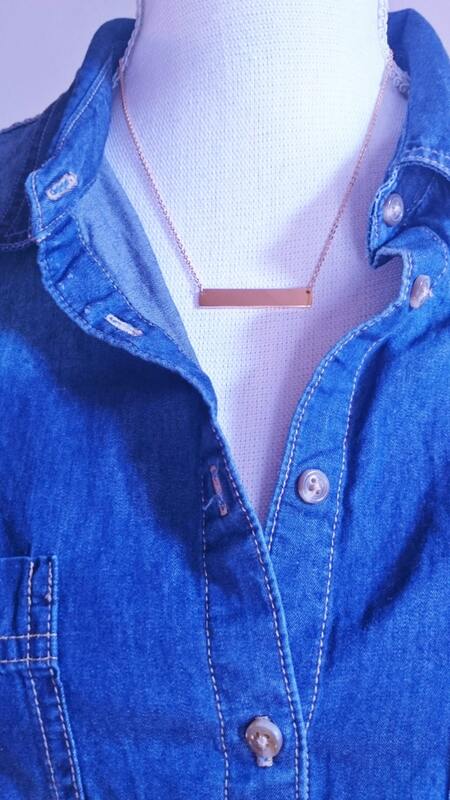 This necklace is simple and shiny, perfect for every day wear!